Day + Time: Saturdays at 1 p.m. Prerequisite: Some prior guitar experience will be necessary as well as the ability to read music. This ensemble provides students the opportunity learn and ultimately perform a variety of music in a group setting. 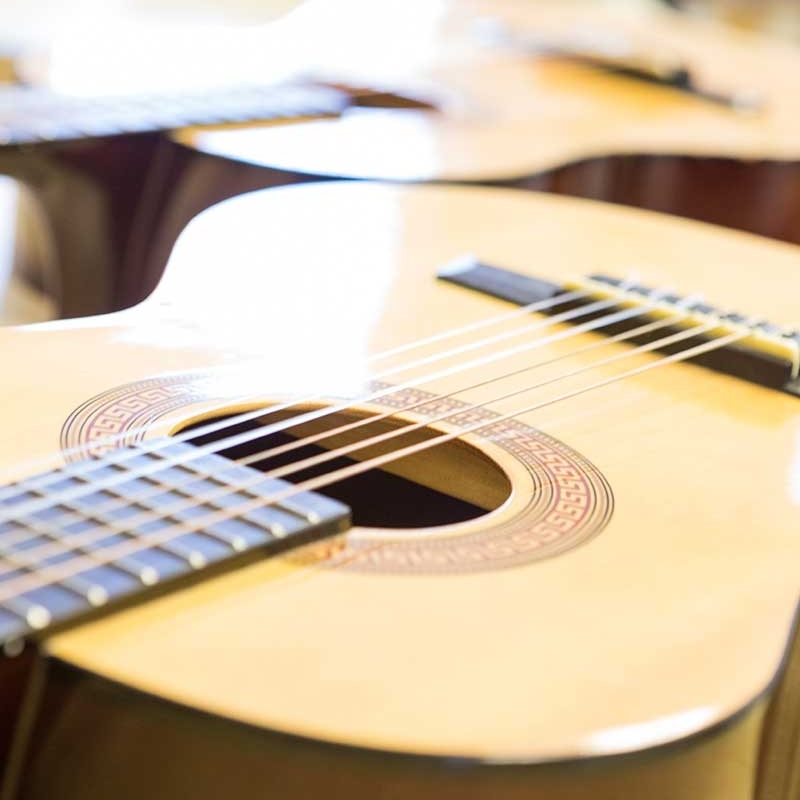 Using nylon string guitars, they will build repertoire ranging from popular music to traditional folk songs to classical guitar standards. Learning goals in include improved left and right hand technique, deeper understanding of the guitar fretboard, sight-reading ability, and expanded knowledge of fundamental musical elements such as pitch, rhythm, and expression.